The FBI Uniform Crime Report for 2017, released by the U.S. Department of Justice, reports that murder rates stabilized across the United States in 2017, decreasing marginally compared to adjusted homicide figures from 2016 but remaining above the record lows recorded earlier in the decade. The initial FBI crime figures for 2017 report 17,284 murders across the United States in 2017, compared to 17,413 in 2016, dropping the nationwide murder rate from 5.4 murders per 100,000 people to 5.3. The homicide numbers are virtually identical to the initial FBI homicide figures included in the 2016 FBI Uniform Crime Report, which initially reported 17,250 murders and a murder rate of 5.3 murders per 100,000 people in 2016. Once again, states with the death penalty tended to have higher murder rates than states without the death penalty, with Louisiana and Missouri topping the list at 12.4 and 9.8 murders per 100,000 population, respectively. Seven of the nine states with the highest murder rates (and sixteen of the twenty highest) are death-penalty states, while five of the eight states with the lowest murder rates (and nine of the lowest fifteen) do not have the death penalty. New Hampshire, which has the death penalty, and North Dakota and Maine, which do not, had the lowest murder rates at 1.0, 1.3, and 1.7 murders per 100,000 population, respectively. The data also supports the idea that abolishing the death penalty does not make states more dangerous. Delaware, which ended the death penalty in 2016, saw a 7.8% decrease in its murder rate from 2016 to 2017. As in past years, regional data showed that more executions do not mean lower murder rates. The South, which has performed far more executions than any other region, continued to have the highest murder rate (6.4 per 100,000 people), while the Northeast, which has carried out only four executions since 1976, had the lowest (3.5). FBI data shows that murder rates have fallen dramatically since the 1980s and 1990s, contributing to the nationwide decline in capital punishment. The current murder rate is 45.9% below 1991's murder rate of 9.8 per 100,000 people. However, the decline in new death sentences has been even greater, with the 39 death sentences imposed in 2017 87.5% below the 315 death sentences imposed in 1994 and 1996. 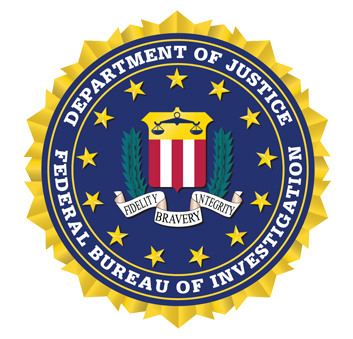 (Crime in the United States, 2017, Federal Bureau of Investigation, September 24, 2018; Press Release, FBI Releases 2017 Crime Statistics, FBI National Press Office, September 24, 2018; Devlin Barrett and Mark Berman, FBI says murder, violent crimes fell slightly last year after previous increases, Washington Post, September 24, 2018.) Read the FBI 2017 Murder Statistics by State. See Murder Rates.